Sydney is the capital of New South Wales, located on the southeastern coast of Australia. 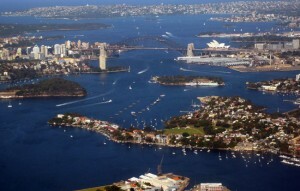 A modern city with a long history, Sydney is defined by its scenic harbor. The region’s first inhabitants lived along the port bank for thousands of years. Today, ferries take visitors on cruises under the famous Sydney Harbor Bridge and along the famous Sydney Opera House. While the Sydney city area has much to offer, why not take advantage of your cheap car hire Sydney service to get out and explore the area? One of the top destinations for underwater explorers and divers, the Great Barrier Reef is the world’s largest coral reef system. Located in the Coral Sea off the coast of the Australian state of Queensland, the Great Barrier Reef covers a massive area of more than 2,900 coral reefs and hundreds of islands and islets. Formed by millions of living organisms over millions of years, the reef is now one of the most diverse ecosystems in the world and one of the best places to visit in Australia. Located in the heart of Australia about 1500 km (900 miles) from the nearest major town, Alice Springs comprised of cavernous gorges, boundless desert landscapes, remote Aboriginal communities and a charming pioneering history. It embodies the hardy outback of the Red Centre, and is a travel hub for sights and hikes in the region, such as Uluru / Ayers Rock, Kata Tjuta (the Olgas) and Kings Canyon. For its tropical climate, friendly atmosphere and proximity to the Great Barrier Reef, Cairns is one of Australia’s most popular holiday destinations. Located on the northwest corner of Australia, Cairns is a provincial, but stylish city, with a population of about 150,000 people. Some coastal destinations provide more diversity of wildlife and more opportunities for travel adventures rather than Cairns. 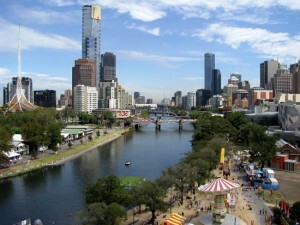 The capital of the state of Victoria, Melbourne is Australia’s second most populated city. Located near the southeastern tip of Australia on the large natural bay of Port Phillip, Melbourne is considered the cultural capital of the country and an important port. A well-planned city known for its shopping, fine restaurants and sports venues, Melbourne is the ideal destination for travelers who appreciate the good life. Located on the southwestern coast of Australia, Perth is the fourth largest city in the country and the capital of Western Australia. Isolated from other major cities in Australia, Perth has developed its own unique character. Although the area has been inhabited for thousands of years, there is a youthful atmosphere and a cheerful attitude in this city of nearly two million people. Brisbane is the capital of the state of Queensland. It has a population of about 2 million people, making it the third-largest city in Australia, after Sydney and Melbourne. Brisbane year-round warm climate, spectacular scenery and pleasant locals have been the draw-cards for many domestic and international visitors, making Brisbane the fastest-growing city in Australia. Hobart is the capital city of the Australian island of Tasmania, as well as Australia’s second oldest city after Sydney. With a population of about 250,000 Hobart is small and intimate compared to larger mainland Australian cities, reflecting the small size of the state. There are many fine examples of Georgian and Victorian architecture in Hobart, such as Salamanca Place, which has a terrace of warehouses dating back to the whaling days of the 1830s. It has a mild temperate oceanic climate, with four distinct seasons. Hugging the coast of Northern Territory, Darwin has long been the most international of the major cities of the country. The close proximity to other countries in the Indian Ocean, has made the city a transportation hub since its earliest days. Destroyed during World War II, Darwin is a resilient city with a spirit that cannot be beaten. Today, the city of about 75,000 people is a popular holiday destination. 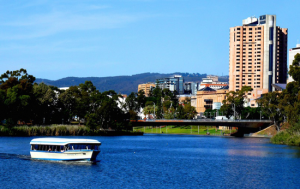 With a population of over 1.2 million, Adelaide is the fifth-largest city in Australia. More than three quarters of South Australians live in the Adelaide metropolitan area. The city is located on a plain between the rolling Adelaide Hills and the Gulf St Vincent and is bordered by many of Australia’s famous wine regions. To fully explore this beautiful wine capital of South Australia, we highly recommend you to hire a car from one of the car rental close to the airport and city, who can meet your car hire needs with cheap rental cars to use in town. Which city do you consider your favorite to visit?